A microscopic parasite that breeds in cats has been found to make chimpanzees less fearful of predators in what scientists believe is further evidence that the microbe can also affect human behaviour when it infects people. A study of Toxoplasma gondii, which is estimated to be infecting around 1,000 people every day in Britain, has found that it makes chimpanzees more attracted to the smell of leopards, their main predators in the wild. Previous studies have shown that when the feline parasite infects mice, the rodents lose their natural fear of cats. Now the same kind of behavioural changes appear when T. gondii infects chimpanzees, the closest living relatives of humans, which usually harbour a natural fear of leopards. The findings of the study support the controversial view that T. gondii may also influence the behaviour of infected people, possibly when it is carried in the bloodstream to the brain where it can form cysts in the amygdala, the brain region involved in fear, researchers said. Several studies in the past have indicated that the Toxoplasma parasite can affect people’s personality by slowing down their reaction times or making them more likely to take risks. 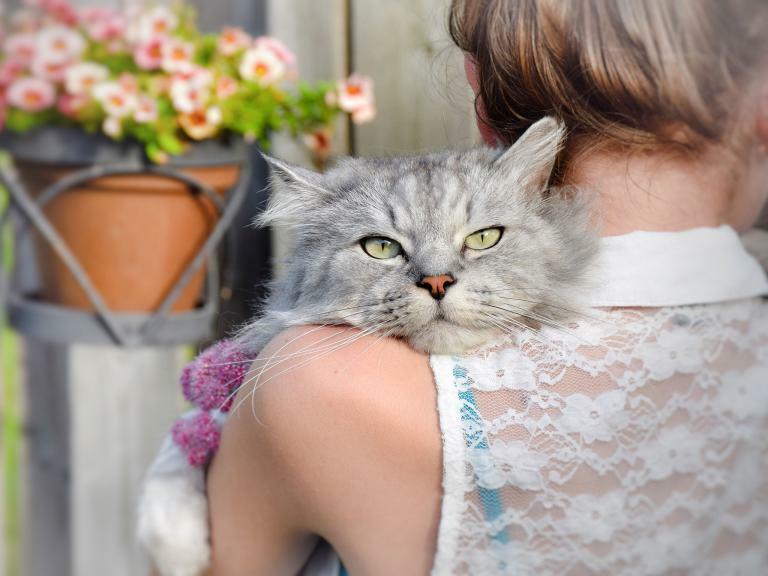 Some studies have linked the cat parasite with psychotic disturbances in humans such as self-harm and suicide, and even serious psychiatric illnesses such as schizophrenia. The latest research was carried out on 33 infected and non-infected chimps kept in captivity in Gabon. Scientists found that the chimps infected with T. gondii were three times more likely to investigate the smell of leopard urine than non-infected chimps – normally chimps are repelled by the scent of a leopard. This change in behaviour, however, was not seen when the chimps were exposed to the smell of urine from lions or tigers, neither of which is a natural predator of chimpanzees. Scientists believe this difference between the reaction to leopards and other large cats indicates that the change in behaviour is linked with the predator-prey relationship between chimp and leopard, and the need for the parasite to be eaten along with its host species by the chimp’s natural feline predator, the scientists said. T. gondii can infect a broad range of species, including humans, but it needs to end up in a feline species in order to reproduce sexually and so complete its complicated life cycle, said Clémence Poirotte of the Centre for Evolutionary and Functional Ecology in Montpellier, France, the lead author of the study published in the journal Current Biology. “Feline species become parasitized by eating a parasitized prey. Avoidance behaviour of prey such as rodents toward feline species thus represents a natural barrier for the parasite,” Dr Poirette said. “It has been shown, however, that T. gondii can induce behavioural change in parasitized rodents, making them more attracted to cat urine, thus benefiting parasite transmission,” she said. “For the first time, we’ve shown that such parasite manipulation occurs in a primate, in a very specific way. We found that in our closest relative, the chimpanzee, Toxoplasma-infected animals lost their innate aversion towards leopard urine, their only natural predator,” she added. It had been thought that if Toxoplasma, a single-cell “protozoan” parasite similar to malaria, does have an effect on human behaviour it must be a side-effect of its ability to manipulate the behaviour of other “dead end” host species such as rodents. However, the discovery that it can affect other primate species suggests a more ancient evolutionary link with humans, Dr Poirotte said. “Our study rather supports the hypothesis that manipulative abilities of T. gondii have evolved in the human lineage when our ancestors were still under feline predation. Behavioural modifications in humans could thus be an ancestral legacy of our evolutionary past,” she said. “Latent toxoplasmosis was commonly assumed to be asymptomatic in humans, except in pregnant women….Recent studies have shown that it could represent a risk factor for some mental disease such as schizophrenia, but more studies are needed to understand all the impacts on human health,” she added. Toxoplasma gondii is a microscopic parasite that breeds only in cats but can infect many other species as “dead-end” hosts – dead-end, that is, unless these animals are then eaten by felines. As The Independent revealed in 2012, T. gondii is now so ubiquitous in the environment that scientists estimate about 350,000 people in Britain alone – some 1,000 individuals a day – become newly infected through pet cats, contaminated food, or other sources in the environment. Most people are never aware they are infected and the highest risk of Toxoplasmosis is to the unborn child of pregnant women. But studies have also shown that the parasite can cause cysts in the human brain and other vital organs. More controversially, some studies have indicated that people infected with T. gondii are more likely to take risks or suffer serious psychological problems. However, other scientists have questioned the strength of this link. Nevertheless, it is now clear that the parasite can change the behaviour of prey species, such as rodents and chimpanzees, towards their natural predators – felines.